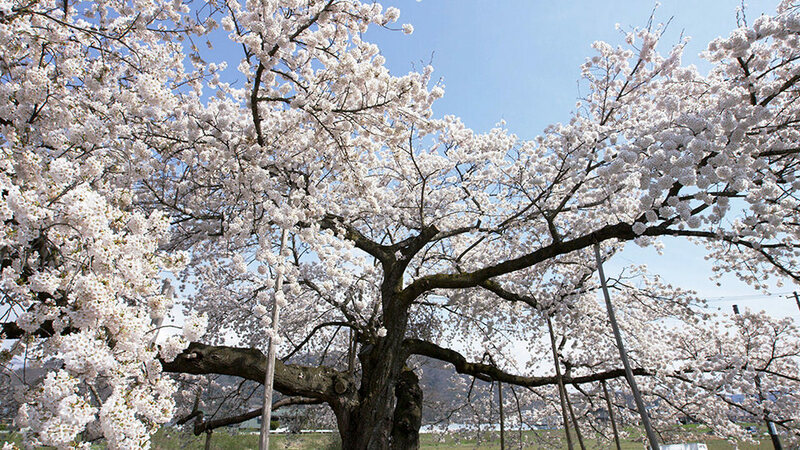 Along the embankment of Sagae River near where it meets Mogami River there is 2.8-kilometer stretch of cherry blossom trees. 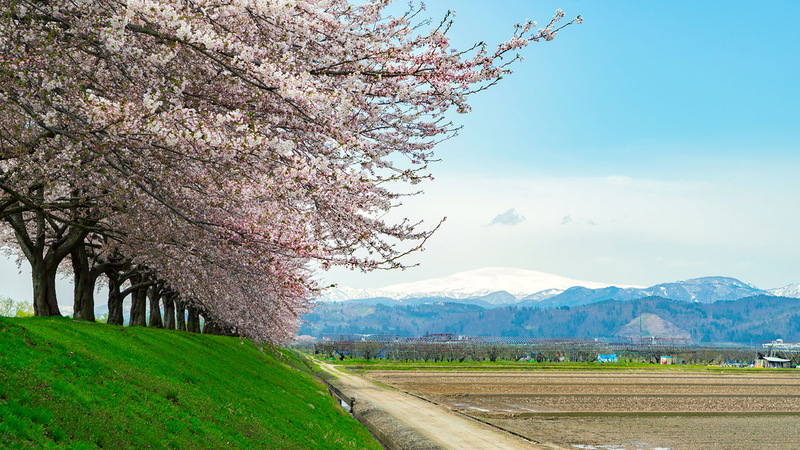 The beautiful scenery of the crystal clear water and walls of cherry blossoms against the distant snow-capped Mount Gassan and Mount Asahi looks just like a painting. Kyokusho Sakura is 60-year-old Yoshino cherry tree located in an expanse of rice fields. Its thick branches stretching out like arms bring to mind a sumo wrestler entering the ring. The tree is cherished and protected by locals as a local treasure. 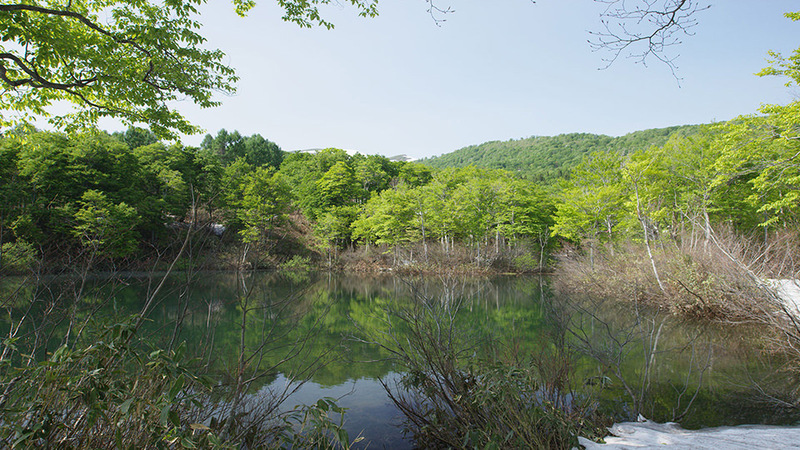 A beautiful pond located at the foot of Mount Gassan, from spring through summer it offers an incomparable picturesque view as trees of varying colors reflect on its surface. There are walking paths around the pond and a campground nearby. Oisawa is a mountain village with peaceful rice fields where the crystal-clear Sagae River flows. 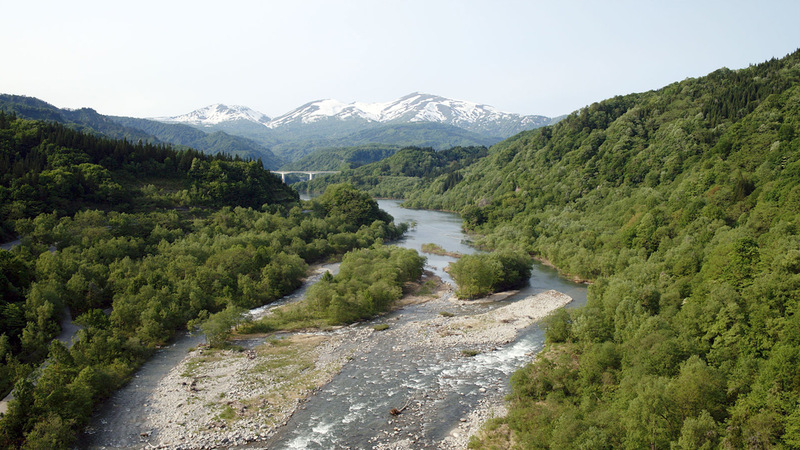 It is a popular viewing spot offering a particularly beautiful view of the magnificent Mount Gassan seen beyond the upper reaches of Sagae River.